Our effective and powerful programs allow you to assemble photo mosaics for any purpose: from a small postcard to a giant poster, from a magazine cover to a building size mosaic fence. The only limits are your imagination and the size of your hard drive. Mazaika - The best photo Mosaic Software! Image Mosaic Software Mazaika is a professional level but easy to use photo mosaic generator. 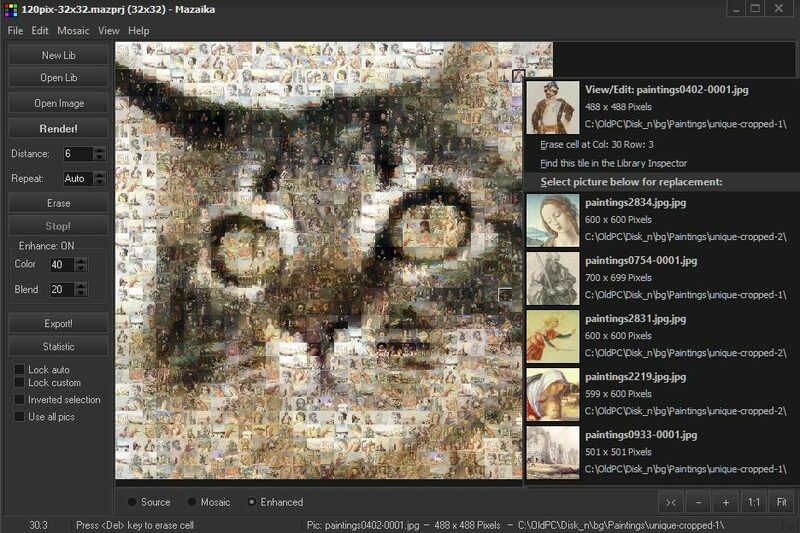 It is much more than a just automatic mosaic generator. You can easy set any mosaic parameters, you may enhance final mosaic colors and even more - you can close inspect and manually replace any single tile in the mosaic that you like to change. Available as a native app for both Windows and Mac operating systems. Mazaika-Animation - Make amazing photo mosaic animation! Turn your photo mosaic into astonishing animation. 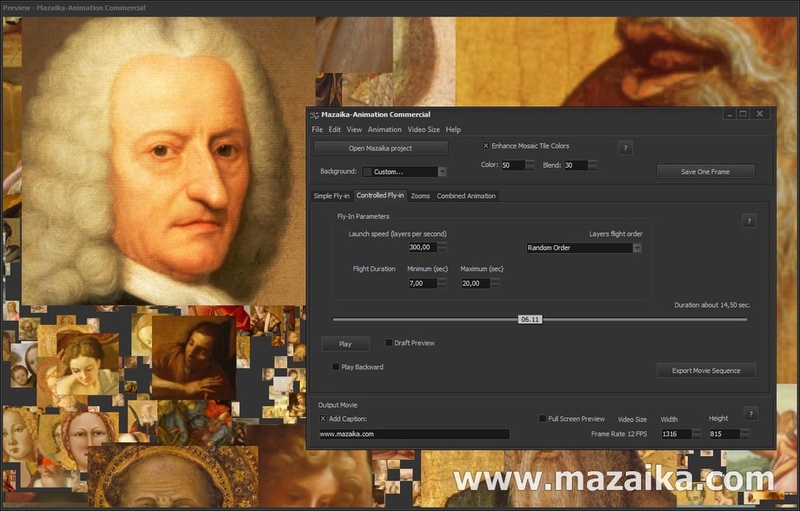 Open Mazaika project with Mazaika-Animation, select movie parameters, and export hi-resolution video. It's a great way to present your photo mosaic at birthdays, weddings, or other social events. Available as a native app for both Windows and Mac operating systems. Photo Jumble - An easy way to assemble multiple photos on one page. Photo Jumble uses a different approach for photo mosaics. 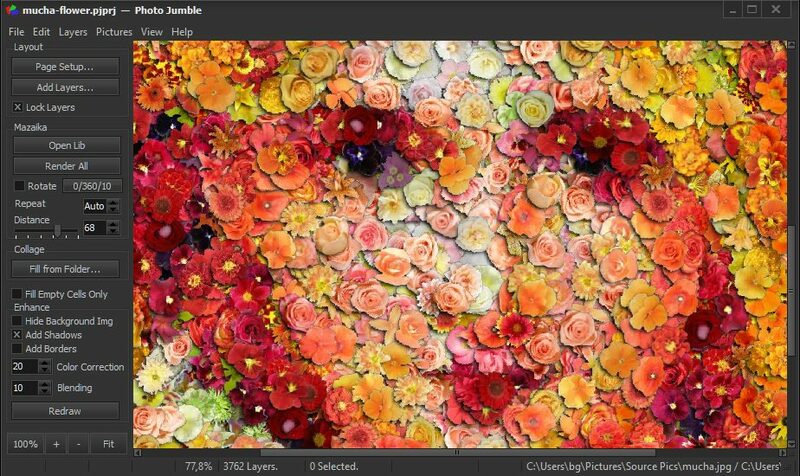 With Photo Jumble you may make mosaics or collages with random placed, non regular, and even rotated layers. You may use different aspect ratio sized tiles. 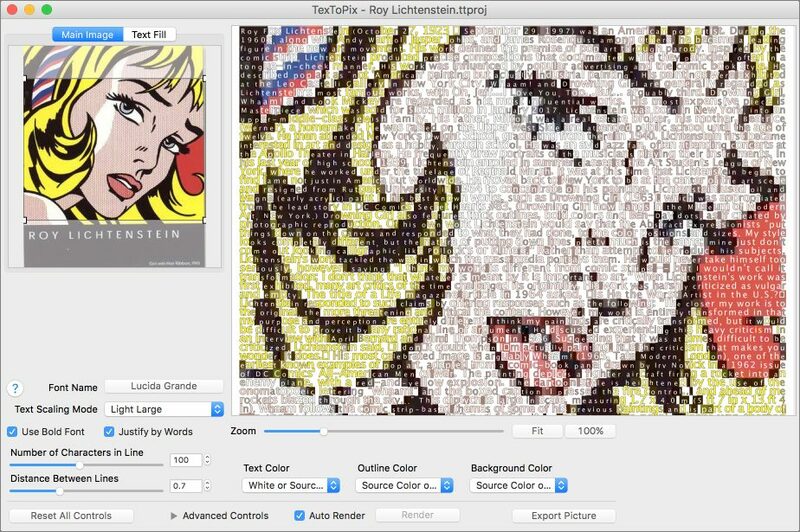 TexToPix - Pictures made from text. TexToPix allows you to create one more type of image effect that cannot be made with conventional image editors. It's very simple. You take some text, (few phrases, words or even few characters), select an image that you like to mimic and the program will generate an image that when viewed from a distance looks like a picture and when looked close - you may see every single character and read the text. Available as a native app for both Windows and Mac operating systems. Visit official Mazaika.com site to see more!